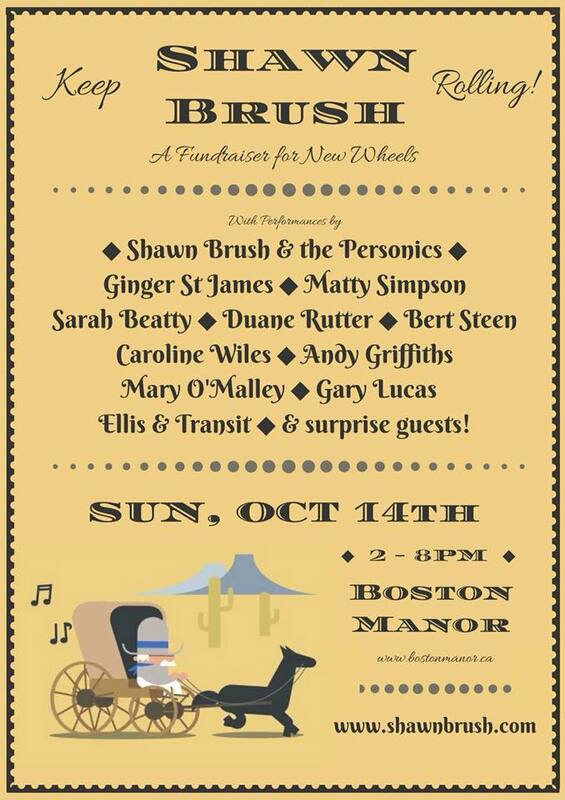 Oct 14th, Burlington, ON: Sarah plays (2pm) to help Keep Shawn Brush Rolling w/ @MsGingerStJames @MattyfxSimpson @thebassmachine @andygriffmusic @theduanerutter and many more! Shawn Brush, aka The Crooked Cowboy, and one of the regions most celebrated musicians needs a new set of wheels. And he’s having a party so everyone can come and have a fun time while they write cheques! The lineup is grand and the party is gonna be a fun one. This Sunday!